January is one of those months that seem to go on forever. With the white snow and the grey skies, it can become very oppressive. Many people I know flee the confines of this weather and go to some place warm and sunny. But for those of us that stay behind, we need something to brighten our world. So lets bring some color to our knitting. This is a great time to start a Fair Isle project or a color stranded project. If you want something small, try a pair of mittens, gloves, or socks. We have many patterns to choose from or if you want a larger project we will help you put that together. Try something challenging that has thirteen to twenty different colors. 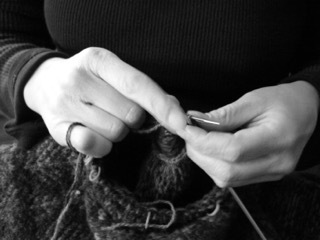 What a better time to exercise your knitting skills on these white, grey, cold days of winter. So lets start today, get that beautiful project up and knitting and add some beautiful color to your world.